Our pastured chicken, duck and holiday turkey is truly delicious. Once you taste it, we guarantee you'll never want to go back to store-bought poultry! As one of our customers commented, "That was the best duck we've ever had. It was truly amazing." The meat is flavorful and tender, as well as highly nutritious. 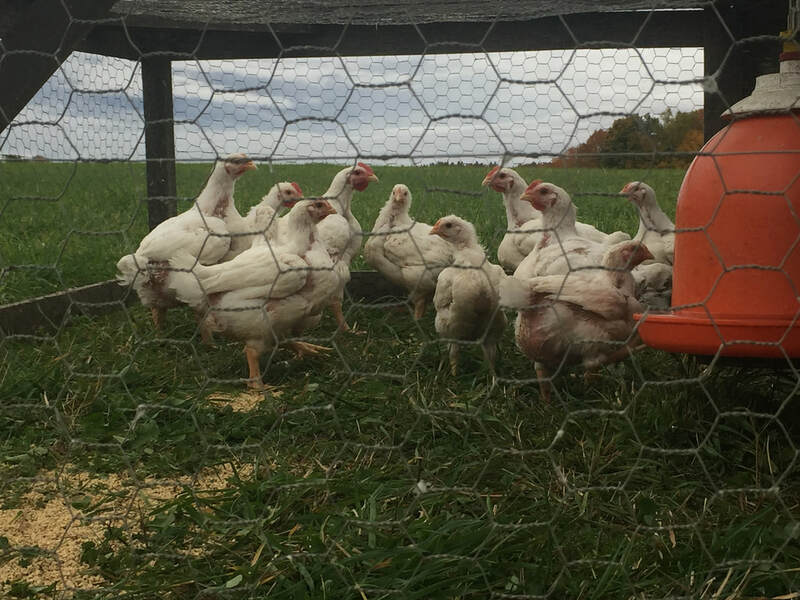 The nutrition comes from the lifestyle the ducks and chickens live: they feast on our delicious pasture and are moved twice daily, allowing them to enjoy a variety of critters and vegetation. Plus, all of our meats are 100% free of hormones and antibiotics. An added bonus for us is that poultry manure is high in nitrogen, which means that these birds are helping us to improve our soil and our pastures. For these birds, it's life as they should live it: bugs, fresh air, sunshine, and grass.